Without the knowledgeable commentary it would be half the adventure. 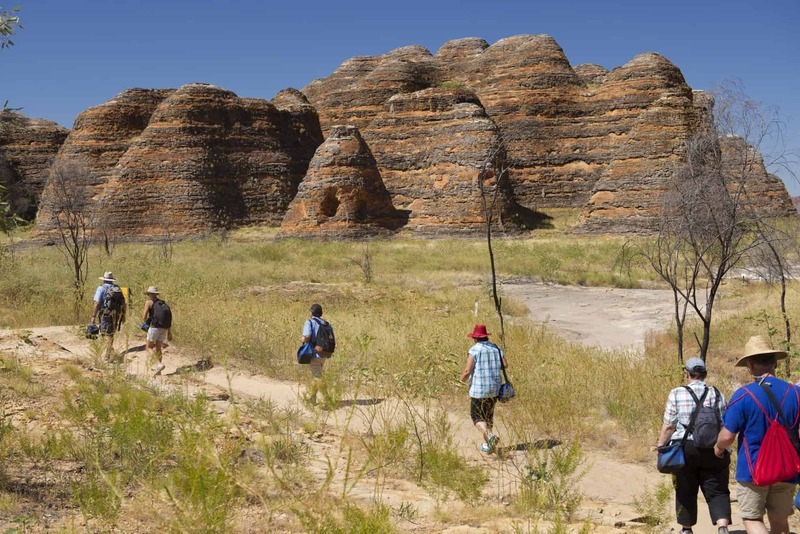 Paul Wainwright and his dad Bob were the first non-Indigenous Australians to explore the area. 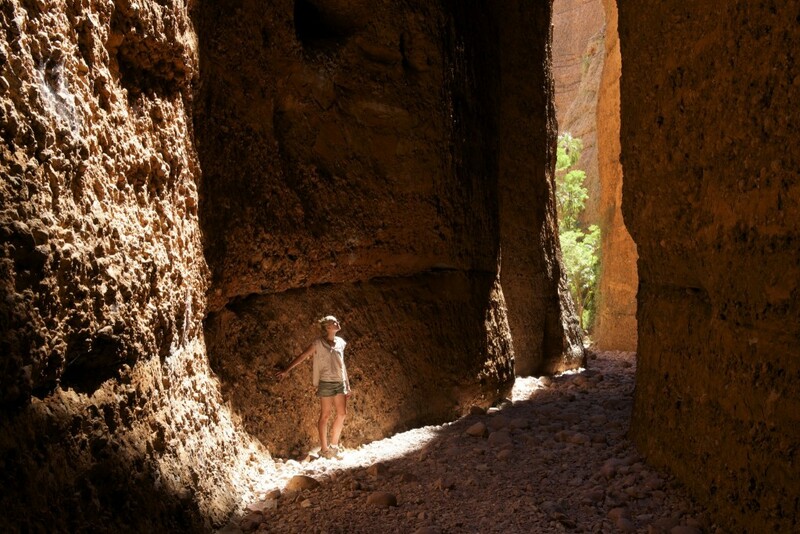 They discovered Kilometre Chasm (officially named Echidna Chasm). They took the Chief Ranger from Parks & Wildlife there to show him. 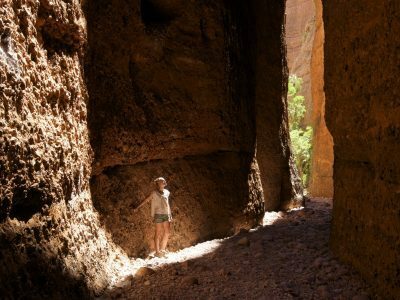 The narrow walls of Echidna Chasm soar over 200 metres high. 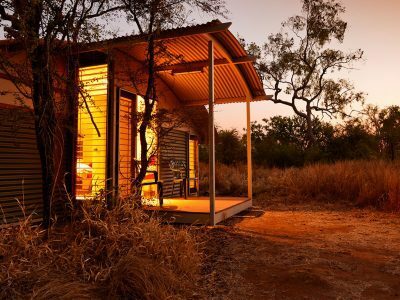 There is nothing like returning from a day in the outback to hot running water, a home cooked meal and a comfy bed at a remote lodge in the Kimberley. It’s nice and easy touring with professional, experienced and friendly tour operators who are part of a local family-run business. You feel included somehow. ‘Rushing’ is a thing of the past, take your time and have a good look around. 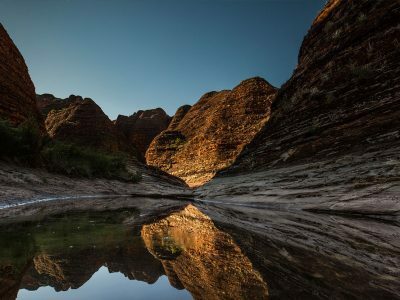 Staying in Purnululu for a night or two gives you time to really enjoy it. If you’re short on time, combine a flight and a ground tour, that way you’ll still experience the unique scale of this remarkable country. You have to see the enormity of the beehive domes from the ground. You can dream about it all you like but the experience is unbelievable.